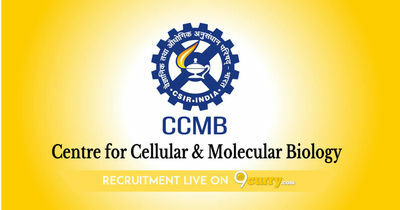 CCMB Result 2019: Below are the latest results published by CCMB - Centre for Cellular and Molecular Biology (CCMB) / www.ccmb.res.in. The recent result announced by the organization is Project JRF/SRF/PA-II/PA-III Result 2019. CCMB Project JRF/SRF/PA-II/PA-III Result 2019: Centre for Cellular and Molecular Biology (CCMB) has announced the Result on 03 Apr 2019 for CCMB Project JRF/SRF/PA-II/PA-III Exam 2019 which was conducted on 26 Mar 2019. CCMB Project Consultant & Project Assistant Result 2019: Centre for Cellular and Molecular Biology (CCMB) has announced the Result on 03 Apr 2019 for CCMB Project Consultant & Project Assistant Exam 2018 .